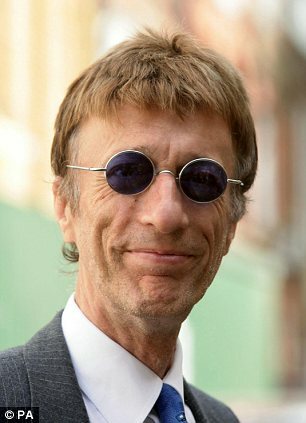 Did you know that Robin Gibb was a vocal supporter of the British Labour Party, and that was also a very close friend of Tony Blair's too? Maybe they sang a couple of songs together, huh? Both Robin and Tony. Something like 'I've Gotta Get a Message to You'? Or even 'Jive Talkin'? Well, let's see shall we? Because it might pop up in this these two 30-minute programs made in 2012. 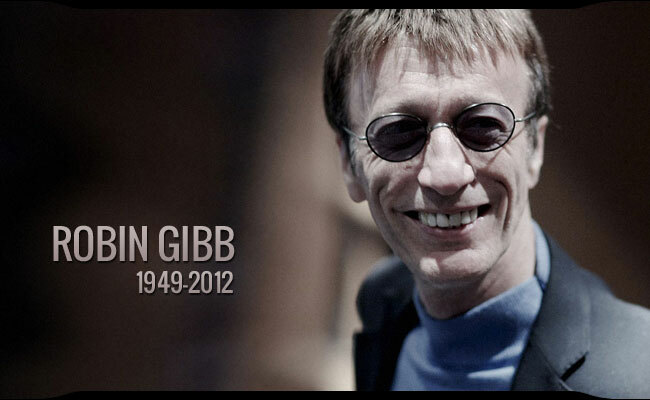 Now this BBC tribute to musician and song-writer, Robin Gibb, comprises a short feature about the man himself, called 'Me and My Songs, A Tribute', which is then enhanced by a 'Sings The Bee Gees' complementary showcase piece. 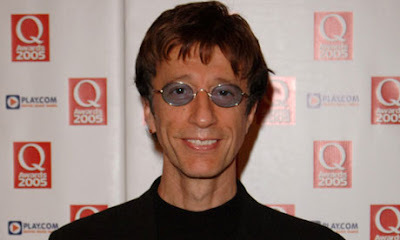 In this interview, Bee Gee, Robin Gibb, talks about his time as a musician, where he is accompanied by numerous video inserts of his songs, such as 'New York Mining Disaster', 'I Gotta Get A Message To You', 'Jive Talkin', 'Staying Alive', 'You Win Again', plus many-many more. There is an emotional development when you are writing a song. My very early influences were folk and R and B music. When we returned to the UK, it seemed as if Britain were dictating the trends at the time in America. We always thought that writing your own songs gave you some merit. Because we were brothers, we naturally harmonise with each other. We wasn't trained. It was essential for us to have success in the States. As composers, we wanted to dabble about in all kinds of music. And diversify. At first, we thought disco meant discothèque. Like in the night club. We had no idea what 'Fever' would be like when it was released. John Lennon stated before he passed way that he would have loved to have created something like this. We lived from one project to the next, and just lived our lives. Our music is still on the radio today, and that is what makes me most proud. To Love Somebody (Bee Gees) - This song was originally written for Otis Reading, but unfortunately he died before he was able to record it. Words (Sandy Shaw) - Cliff Richard did not find the time to record this song written especially for him. Everybody Clap (Lulu) - A snazzy song written for this Scottish singer by her then husband, Maurice Gibb. Morning of My Life (Esther Ofarim) - This was the Israeli singers only international hit. Night Fever (The Swingle Singers) - 'Fever' was actually produced by the makers of the hit film 'Bugsy Malone'. If I Can't Have You (Yvonne Elliman) - Yvonne then went on to become a backing singer for Eric Clapton a year or so later. Tragedy (Steps) - The Bee Gees wrote this song on their day off from making the 'Sergeant Pepper Lonely Hearts Club Band' film. HeartBreaker (Dionne Warwick) - Although Dionne was not too fond of this song, she was very fond of the financial after effects. Chain Reaction (Diana Ross) - This was Diana's first eighties hit since 1971. How Deep Is Your Love (Take That) - This was the band's last hit before they disbanded for ten years. How Can You Mend a Broken Heart (Al Green) - What was Andy Williams loss became Al Green's gain. Bless you Robin. You will not be forgotten. OK, first off, can you please accept my must humble apologies due to the fragmented nature of this... err... hmmm... article. However, I have to state that in my defence, both of the programs in question were quite fragmented in tone, and neither of them had a linier approach in conveying their respective tributes. Please note, though, this is not a slight by any stretch of the imagination. In fact, this tonal quality did aide both shows in presenting a rather nice slice of a man's life. Robin Gibb's life. And as for Robin? Boy, what a nice guy, huh? It is just amazing how he and his brothers have touched so many people in such a poignant and understated fashion. Honestly, during numerous occasions whilst watching each show, I could not help but shed a tear or clutch at my heart, for fear of dissolving into the sofa like a pile of melancholy mush. Well, it's just that I could not help but recollect what I did or what I said when a song touched my ears, as if this melody propelled me down memory lane without even seeming to try. Now the song that really slapped me across the face for six was the Bee Gee's classic 'You Win Again'. You see, in hindsight, this piece was did a number of things for me over the years. Firstly, it was the song that introduced me to the Bee Gees sound. Secondly, it was the song that I shagged Meg Robinson too, one dark and stormy night whilst in a Graveyard in Lewisham. Thirdly, it opened up my world to disco inspired movies of the seventies era, plus other films of this urban ilk. Fourthly, it was the song that made me intrigued about the history of music, and how composition and musical development was a concept that has been innovated by numerous artists over time. And fifthly, it was a song that showed me that 'The Beatles' and 'Elvis' weren't the only music legends in the game. Do you see what I mean about memory? And that was only from one song! I can't even tell you what 'Massachusetts' made me recollect! Otherwise I'd get arrested for sure. Still, if you come to think about it; that is precisely what great music does a person, doesn't it? It acts as a counterpoint of visceral proportions, punching your synapses to emotional levels, whilst urging you to feel things or do things that you would not normally do - like write an article that is not really an article. If you want to read another Bee Gee's piece, please click here. Or else why not just sit back, relax, and listen to a song that reminds me of how I broke up with Meg Robinson after we left stiff city. Bless You Robin. Words cannot describe how I feel about your passing. Rest in piece Bee Gee buddy.